People always ask me why I like Starbucks. There really isn’t one single short, sound bite type answer. 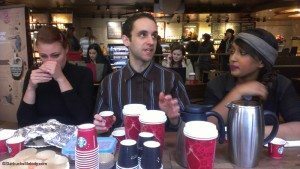 There is one piece of the experience that I particularly enjoy, and that is the “shared experience” nature to Starbucks. There are shared experiences. Every time there is coffee event in Seattle, it’s not just one event, but is the same kind of experience that is being shared all over the United States, and indeed globally. There are partners everywhere who are in their “last ten feet” of their coffee master journey. When I talk about “shared experiences,” I don’t mean just the experience of going to Starbucks with a friend, and ordering a hand crafted beverage together. I am referring to something a little different. 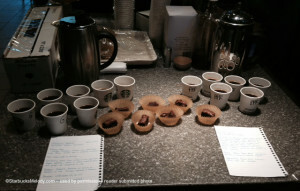 When you enjoy a coffee tasting at Starbucks, you’re part of a larger experience in the sense that all over the globe. Of course, it is not the only kind of shared experience. For some people, that moment that they have that first Starbucks red cup in their hands is also a “shared experience.” All over, there are customers (and partners) having a small moment of delight in the first red cup of the season. 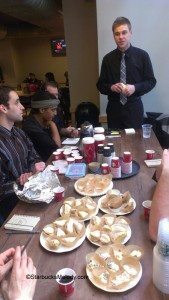 I felt privileged to join a shift supervisor (Dave) at the Pacific Place Starbucks in a coffee event that was part of his journey to becoming a certified coffee master. The moments I saw were shared experiences. It was so awesome. Dave focused on Yukon Blend and Thanksgiving Blend. 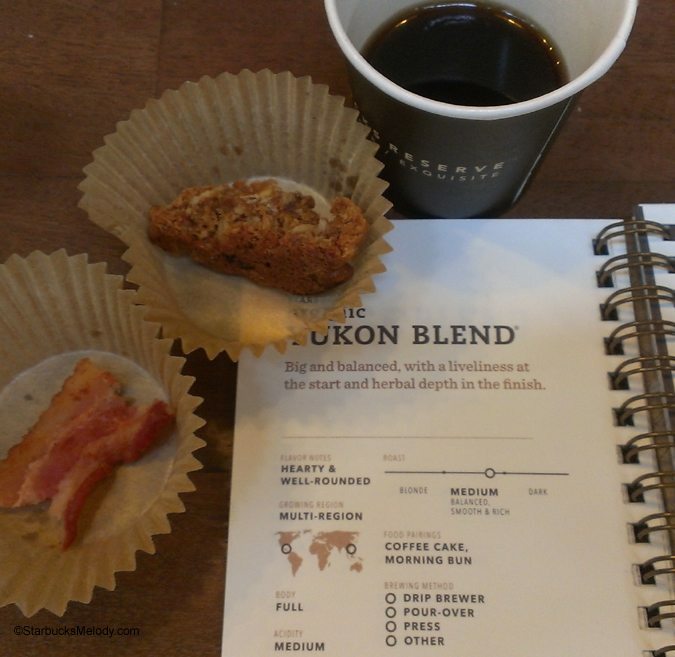 One of my favorite pairings was simply the La Boulange oatmeal cookie with the Yukon Blend. The spices in the oatmeal cookie really brought the Yukon Blend to life. By the way, I know that Yukon Blend is classified as a “medium” coffee but it feels very bold to me. Another unique thing that Dave did was to pair bacon with Yukon Blend. Others in the group really liked it, but I didn’t quite “get” that pairing. I did think the bacon accented a little more of the smokiness to Yukon Blend. Take a look at these photos. Look at the great coffee tasting experiences being had! Dave also cooked an actual turkey to pair with the Thanksgiving Blend! It was fantastic. 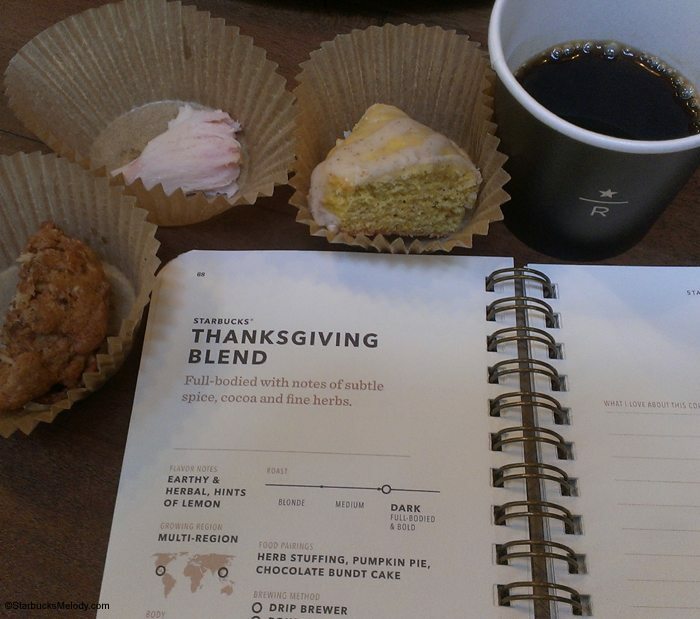 I thought that this year’s Thanksgiving Blend has a little more cocoa – lemony prominence than last year’s coffee. Congrats to Dave on an amazing coffee tasting event. Great experiences. Whether you’re in Seattle, or Tampa, there are coffee tastings going on everywhere. I just think that’s very cool. Starbucks Mobile Order & Pay: Everywhere in the US; Available for both Android and iPhone. Your thoughts? Highlights from the Starbucks 2012 biennial conference: Growth coming in many ways. There may be coffee tastings “everywhere”, but not in the suburban Los Angeles Starbucks that I frequent. Or if they have them, they are not well advertised. Starbucks could do a better job of advertising them from their web page. An early Thank You for serving! Starbucks has a lot of stores, I don’t think it’s possible for them to keep up with every event each store is doing. While there may not be set seminars at your local store, you could always ask to participate in a tasting that partners are doing. They should be tasting coffee on a daily basis. Or maybe if you express an interest the store may decide to try a seminar. I really think Melody that your being in Seattle gives you an exceptional opportunity for all these coffee seminars and other events and I too hardly see coffee tastings and rather find the stores less inclined to do them around here. 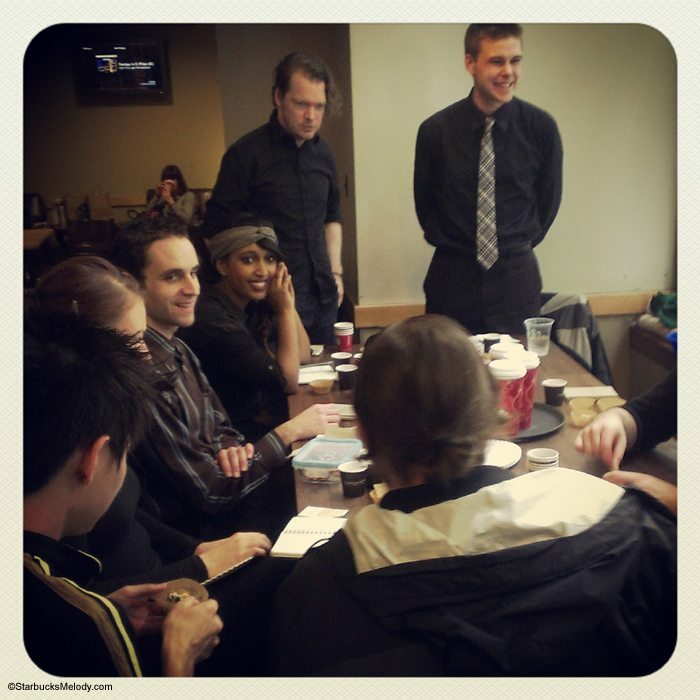 @Michelle – I tend to agree that if you want to go to coffee events, you have to speak up. Organized coffee tastings I’ve done at my store have never drawn anyone other than partners. But, given my customers and location, that makes sense. 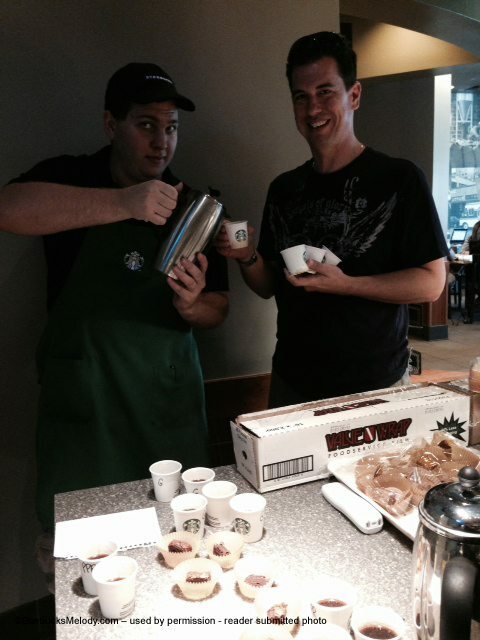 I have had a ton of success inviting customers to join us when we do our own coffee tastings. I actually often invite customers to join me in my first coffee tasting with new partners. So often they feel shy when learning the steps, and discussing what they smell/taste (and their answers are usually “Coffee? ?”) that I find involving a customer both helps break them out of their shell, and understand what coffee can do – offer a shared experience. If any customer expressed an interest in a coffee tasting event, I would whip one up in a heartbeat though – right there on the spot if I had the ability to, or invite them and some friends to come back. So I’d agree with Melody – if you’d be interested in tasting coffee, ask your local SM – he/she would probably be soo excited to do so! There are no coffee events in my area either. The stores are small and it might be just hard to do. Maybe there will be something at the new Clover store since it is large enough to hold an event of some sort. There is no real coffee experience anymore around here, which is sad. I know that I have to go at certain times or it can be very unpleasant since no one seems to enjoy their job or really cares to engage the customer except to get the order and move on to the next person. And I’m talking about late afternoon and evening when it’s not the morning rush. When there are only two customers at the counter to place an order I think eye contact and a smile would be nice. I actually walked out of my local store yesterday before placing my order because no one came to the register or even said “be right with you”. @Becky E – That makes me sad to read. I have had many Starbucks partners tell me that they love their jobs. It makes a huge difference – greeting someone right away, being friendly, making eye contact, are all important in every single kind of retail. If that store is missing the mark, then call Customer Service. I don’t mean to suggest that all the time, but if Starbucks needs to make big changes in their customer experience, then they need to know when stores are un-welcoming. 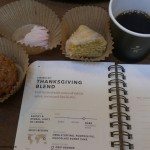 Melody’s blogs really help me with Coffee Master Journey. I feel it is important to make the event interesting. I haven’t start the project yet. But, I am inspired by your posts and would like to set up an interesting presentation with an art board invitation creative and attractive enough to feel inviting for our customers. I imagine winery.. I can’t wait til that day is here for me to make that presentation. Thank you Melody. @ Melody, it’s really only this one store that frustrates me so much. It just happens to be super close and convenient so I want it to be my go-to store. I have contacted customer service in the past about the problem but they are small and nothing changes. But then I read a post like the one from Violet on her Coffee Master Journey and feel that there is hope yet. Maybe we’ll get that kind of person here someday. Good Luck to Violet! Yes, an art board creative, or even a paper posting on the board above the condiments would be good. I get that I tend to go the Starbucks in office parks which aren’t necessary places that people hang out – the one closest to my house is in an industrial area (which is a good place to get away on weekends and evenings since it is so quiet, except for the light music they play) and the one by work is a high volume store that doesn’t have much if any space for such a tasting. Out here in the Inland Empire we do have true local roasters like the Klatch – http://www.klatchroasting.com/ – but nothing from the chains.